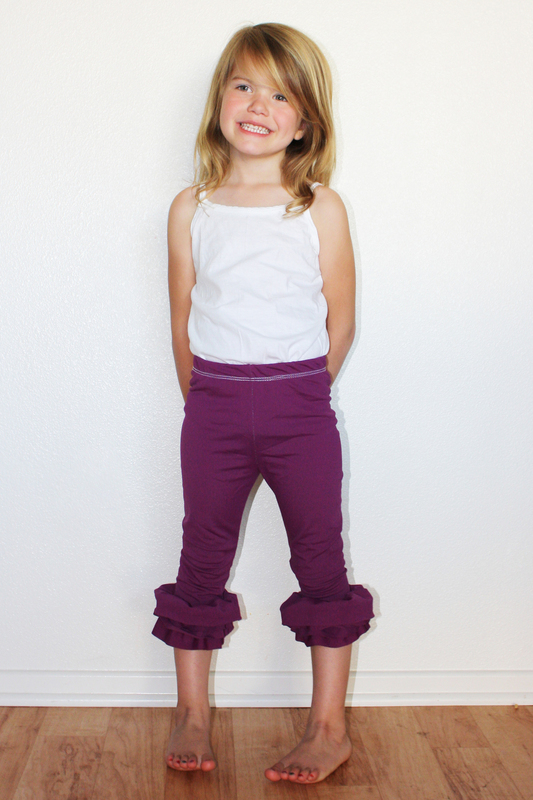 Plain leggings are perfectly fine, but sometimes you just want ruffles and LOTS of them ... like EXTREME ruffles. If you don't have a leggings sewing pattern yet, you will LOVE the Ruffle Leggings pattern from Jocole which covers sizes newborn through 14 and includes the dolly size. The Ladies Basic Leggings covers sizes XS through XXXL. They both include full length, capri length and short length and can be made with or without euro ruffles along the hem. 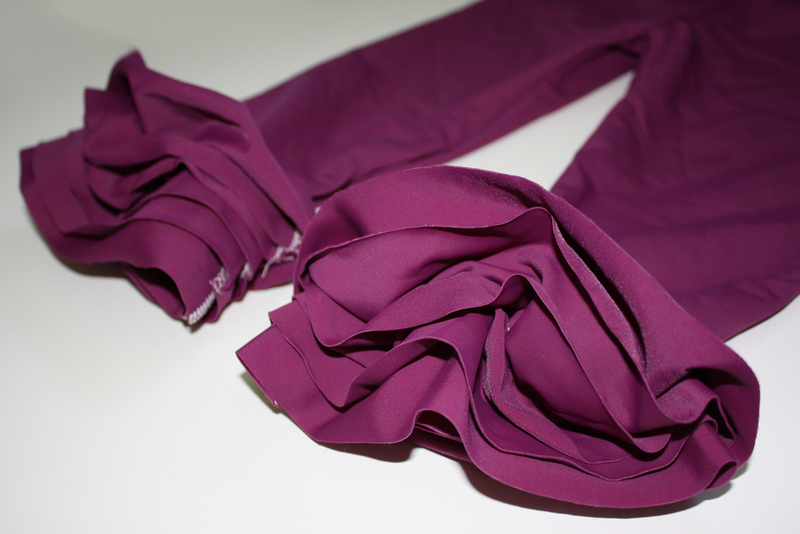 Back to the extreme ruffles ... this is a different variation and you are going to LOVE it. These are super cute leggings that your sweetie won't ever want to take off. 2) Cut strips 4 times whatever your measurement was in step 1. Example: my measurement was 4 inches ... so my strips were 16" long. I cut 2 that were 5 inches wide, 2 that were 4 inches wide and 2 that were 3 inches wide. 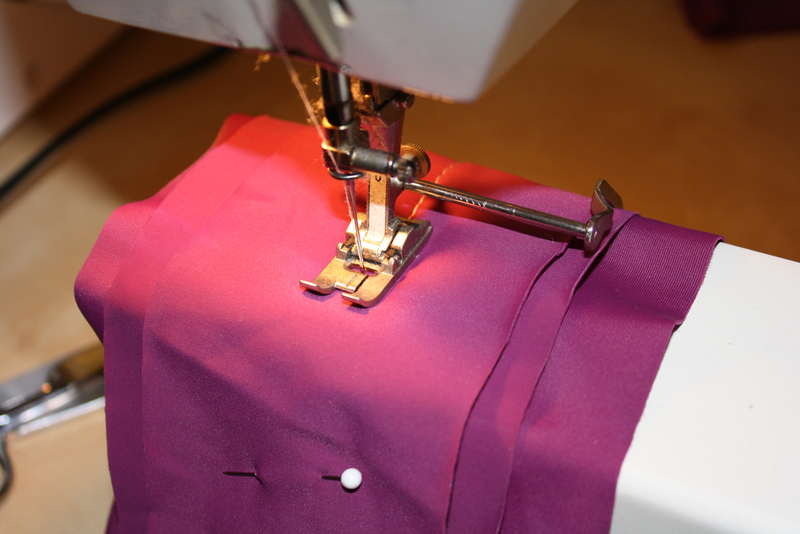 3) Sew each strip into a loop. I used contrasting thread only so you would see it better in the pictures. 4) Layer each loop on top of the others. I started with the widest and ended with the narrowest. 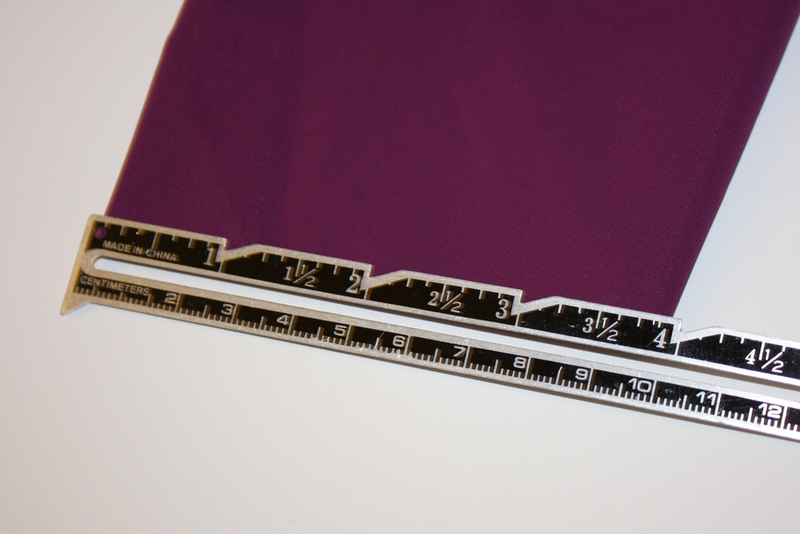 I also made the seam allowance on the widest strip sandwiched between the middle strip. This is so when the ruffles are sewn onto the leggings the seam allowance won't be on the outside. 5) Stitch a line of basting stitches through all the layers, down the middle of the loops. 6) Mark the loops into quarters, and your clear elastic. I like the leave about 2" on both ends of the clear elastic, then you'll need to mark half of whatever your length from step 1 was (example mine was 4" ... so my marks were 0", 2", 4", 6" and 8") I just use a regular ballpoint pen and draw directly on the clear elastic. I tried including it in the picture but it was SOOOO hard to see. 7) Gather ruffles with clear elastic and a zigzag stitch. For full instructions please click here. 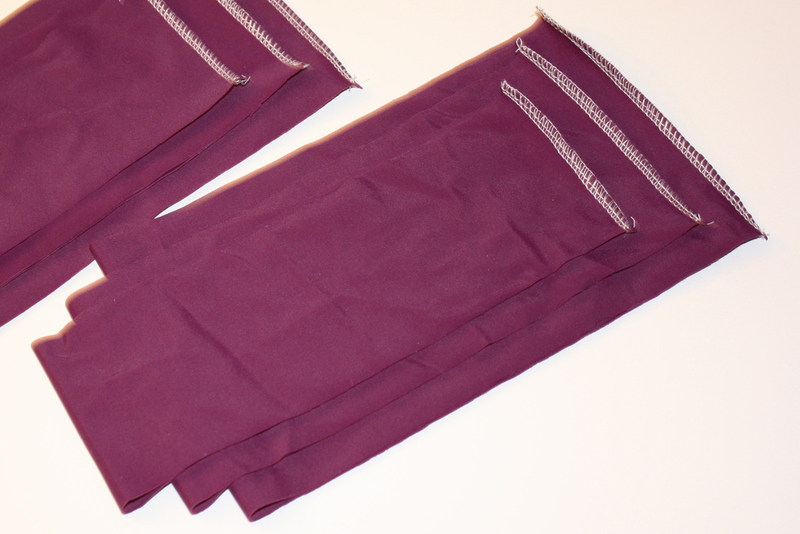 8) Using a zigzag stitch stitch the ruffles on the RIGHT side of the leggings hem (i did i about 1/2" above the edge).